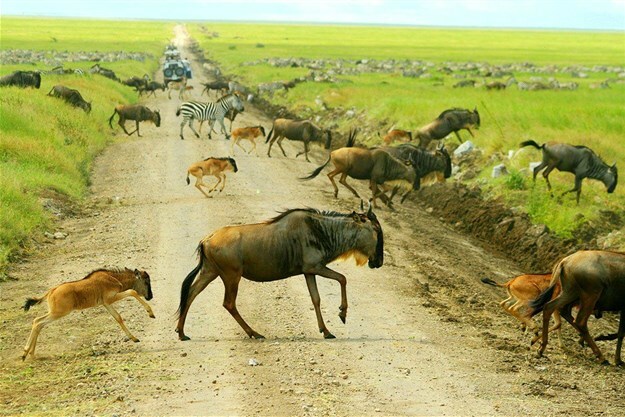 Every year, millions of wildebeest and plains game journey in a circular route from the north of the Serengeti in Tanzania to the south of Kenya's Masai Mara. 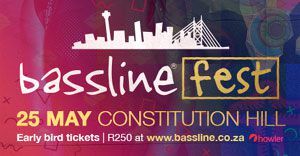 Considered the most spectacular of Africa's natural phenomena, the wildebeest are driven by pure instinct, making this the greatest natural show on earth. In the flocks of herbivores, you can find gazelles, zebras, and wildebeest. They are also accompanied by carnivores that stalk the herds as they move from grasslands to wooded forests. This epic journey crosses thousands of kilometres in an endless cycle. One of the most frequent questions we receive is which country the Great Migration is the best place to experience this phenomenon. This is not a black or white answer, rather something that will be determined by examining a few similarities and differences between the Serengeti and Masai Mara. The Serengeti is vast, covering a good 30,000 km², while the Masai Mara is much smaller at 1,510km². They are very similar in landscape, particularly as they meet at the Mara River. While most people think of the Serengeti as barren, dry grassland, this simply isn’t true. In fact, the Serengeti has a transformative landscape, largely determined by rainfall. There is flat, golden savannah, lush grassy vegetation, wet season wildflowers around the Ngorongoro Crater during the green season, small rocky outcrops called kopjes as well as thick forests and lakes. 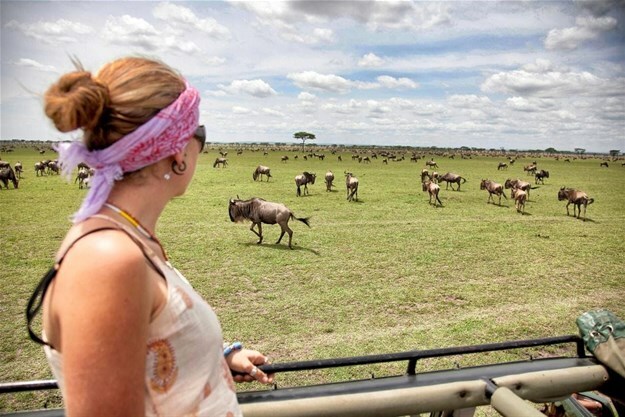 Depending on the region you visit, you’ll find that the sheer size of the Serengeti has surprising twists and turns, bringing with it an abundance of natural resources and diverse ecosystems. The more north of the Serengeti you travel, the more similar it becomes to the Masai Mara, which has a higher density of trees and a much more hilly and undulating landscape. Perhaps the two most important geographical hallmarks of both the Serengeti and Masai Mara are their river systems. 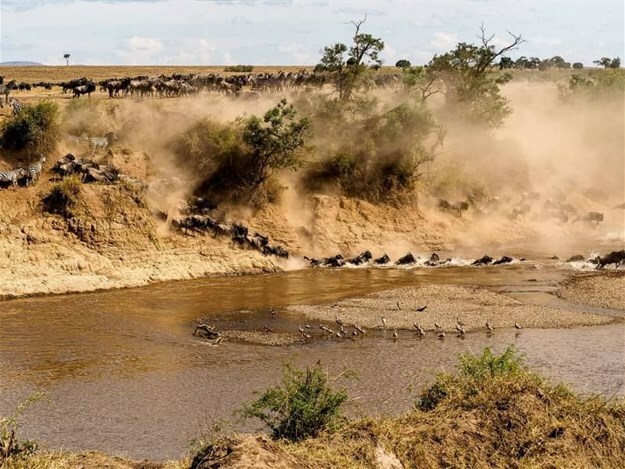 There are plenty of smaller watercourses in both countries, but the two that have the most important in terms of the Great Migration is the Grumeti River in the Serengeti and the Mara River that flows from the Masai Mara into the Serengeti. As one can expect, these rivers not only provide the passing wildebeest herds with necessary water, but they also pose an obstacle in the migration paths of the animals. 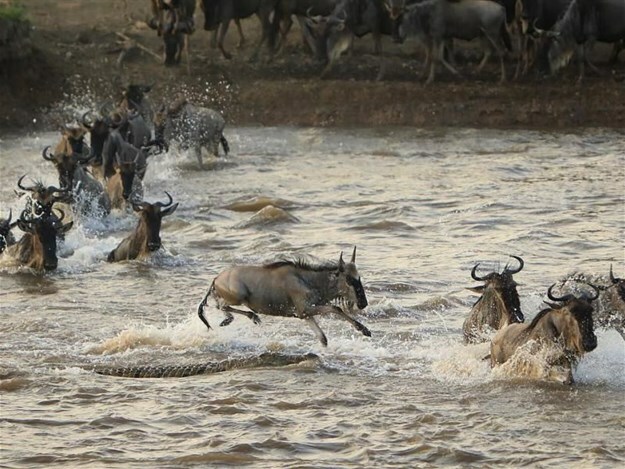 It must have taken one brave wildebeest that first dared jump into the crocodile-infested waters to reach the opposite side of these rivers; what we see today is a frenzy of swimming, thrashing and rushing wildebeest, determined to get across to greener pastures and mineral-rich soils that sustain their populations. The river crossings are not isolated events, but rather a slow, steady series of events. The Grumeti is the first point to cross, while the Mara is crossed numerous times as the wildebeest move from east to west, back and forth within the Masai Mara, constantly searching for water and food before they travel south towards the Serengeti once again. These episodes of sheer instinct are best viewed between June and September, where the stakes are high for these curious mammals and the prey that stalk them. Considered the prime time for a Great Migration safari, it really doesn’t matter which park you choose to observe this from since they are not isolated events. June is best for the Grumeti crossing and September marks the climactic Mara River crossing. Along with the wildebeest, zebra, and antelope also feature in this migration, although in much smaller numbers. Such large groups of herbivores, in turn, attract plenty of predators. Cheetahs, lions, and leopards, jackals, hyena and wild dogs are all vying for a meal during the migration. These animals do not follow the herd but are bound to their unique territories, almost waiting for the ‘travelling buffet’ to cross their paths. Within each micro-ecosystem, there are game and various other animals that live in these spaces permanently. 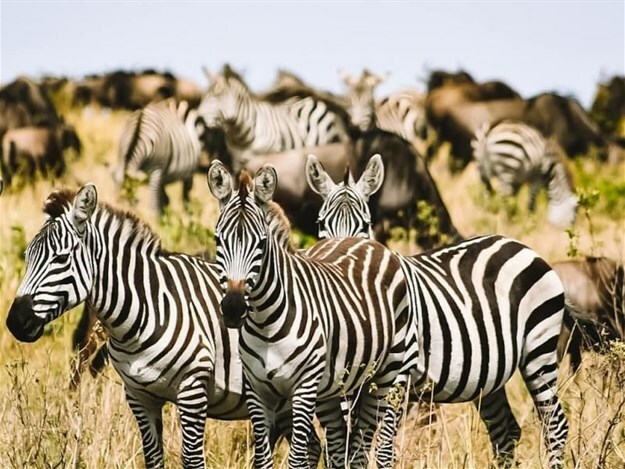 Elephant, giraffe, warthog, other plains game, black and white rhino and an astonishing amount of birds are spectators themselves to this wild migration, in both the Serengeti and the Masai Mara. The migration has been loosely divided into two polar seasons; the green and the dry. The months of January, February, and March mark the season for heavy rains in the Serengeti of Tanzania. This, in turn, marks the start of the calving season, where hundreds of thousands of wildebeest and plains game give birth to about 200,000 calves. The rain also transforms the landscape into fields of green pastures and flowers, a very beautiful spectacle. However, increased vegetation makes game viewing a challenge, as it hides many animals. This is why you can expect reduced rates for a Great Migration safari during this period. What people come to learn is that it is seasonality that makes one destination more attractive than another. The same can be said for the camps and lodges to be found along the way. They differ in terms of location, level of luxury, and safari activities on offer. We can attest to the quality of every one of the accommodation options we suggest in our itineraries. Depending on whether your camp or lodge is in a private concession or national park, you could either be jostling for a prime game sighting along with plenty of other tourists in the case of a national park or you could experience what it’s like to have the wild all to yourself, in the case of private concessions. 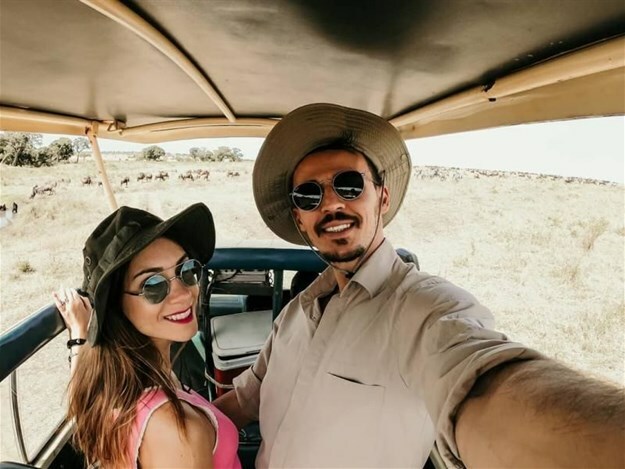 It is important to note that certain activities such as night game drives, walking and horseback safaris are prohibited in national parks, while private concessions and reserves have no such limitations. Interestingly enough, Kenya and the surrounds of the Masai Mara have more private concessions than Tanzania’s Serengeti. Great post.Thanks for giving Kenya a shutout!